Mumbai, India’s biggest metropolitan city is known as the commercial and financial hub of India. There has been extensive growth in suburbs around Mumbai. Palghar is a suburb of Mumbai which has seen strong infrastructural growth over the last few years, due to the increase in demand for residential and commercial property. The property in Palghar Mumbai is still affordable compared to Mumbai. Palghar is a bustling industrial and educational hub in Mumbai. The town is well-connected by road and rail to towns such as Miraj, Pune, Vaduj, Thane, Bhiwandi, Aurangabad, Ahmednagar, Kalyan, Alibaug, Nandurbar, Bhusaval, Shirdi, and Nashik. The area lies on the Western Railway line of the Mumbai suburban railway on the Mumbai-Ahmedabad rail corridor. The town is just 35 km from Virar and 20 km from the Mumbai-Ahmedabad National Highway (NH) 8. Real estate in Palghar is slated for growth due to the proposed bullet train which will connect Mumbai and Ahmedabad. The bullet train will cut down the travel time between the two cities to just two hours. Many developers have launched luxury projects in the area to meet the increasing demand. VBHC Vaibhav Palghar is one of the best projects in the area, which is filled with the latest facilities and amenities for home buyers. 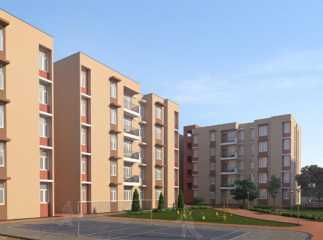 The complex has 1 BHK affordable apartments in different configurations to meet the needs of home buyers. 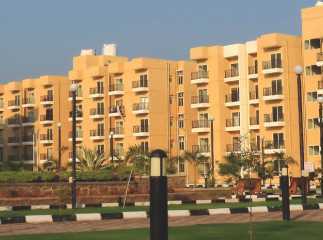 The residential project has ready-to- move-in apartments with external amenities like clubhouse, sports facility, swimming pool, landscape garden, park, etc. There are express lifts for home buyers as well as reserved car parking, 24-hour security, and more. If you are looking to invest in property in Mumbai, Palghar is the best option which is expected to give excellent returns over the next few years.